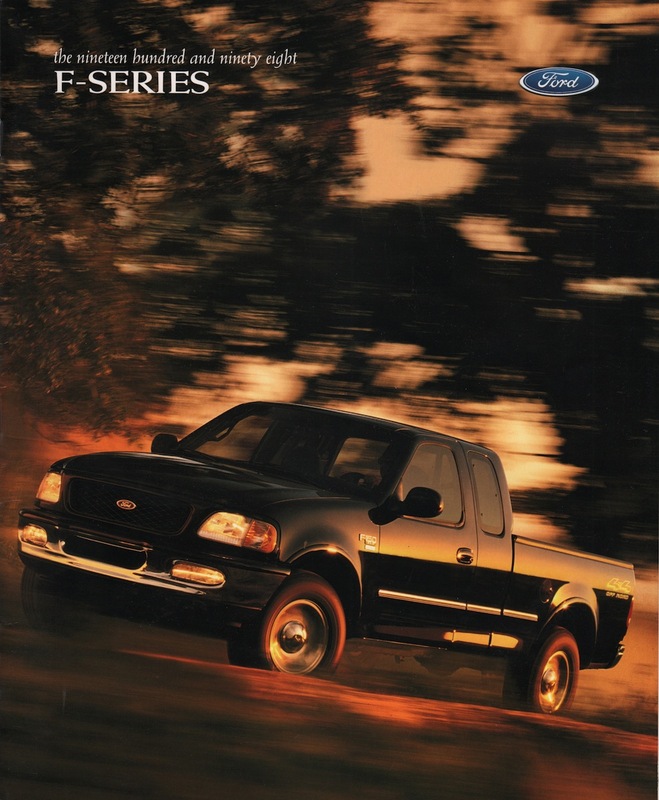 Sales brochure for the 1998 F-Series Ford Trucks. Equipment packages include the standard preferred equipment, XL package, XLT package, and Lariat for the F150 and F250. Exterior paint options are Light Prairie Tan metallic, Bright Red, Dark Toreador Red metallic , Moonlight Blue metallic, Pacific Green metallic, Teal metallic, Silver metallic, Black, Light Denim Blue metallic, and Oxford White.